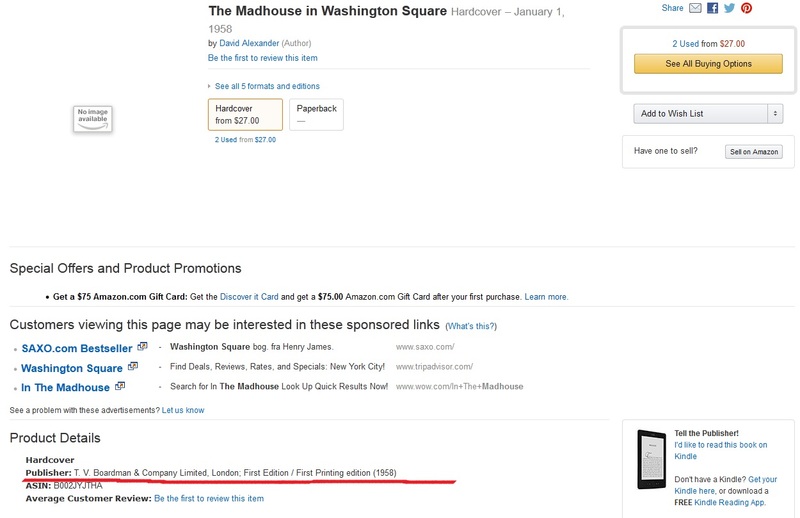 It took about an hour or so after i filed the claim with Amazon until i got a response from the seller of The Madhouse in Washington Square and as far as i know the book should now be shipped. I’m still not sure what happened with the payment though, but oh well… According to the seller it should also be the edition with the cover that i’m looking for, so it all sounds pretty good. I still can’t quite shake the feeling that something will go sour with this thing though, but hopefully i’ll be presently surprised! I’m also trying to get a seller of The Adventures of Maud Noakes to work out so that he can ship outside of the UK but no word so far, and based on previous experiences this might turn out to be a little tricky, so we’ll see what happens. But oh well, on to the next thing i guess. And unfortunately the next thing is also on Amazon. If i was starting to warm up to the site a little bit lately i’ve changed my mind once again. First off i discovered yesterday that Amazon.com and Amazon.co.uk are not connected in any way when it comes to the database. Or maybe you can set it to always do global searches but i haven’t been able to figure that out. For some reason i stumbled onto the UK site yesterday because and found some new listings i hadn’t seen before for the The Adventures of Maud Noakes. At a first glance it all seems right, the image and the publisher is correct. Everything looks great besides the prices, which of course look nice but seem a little fishy. So i contacted one of the sellers who apparently had a HUGE stock and was unable to provide any images but refered me to the ASIN number… ASIN? I hadn’t really reflected on what that number might be earlier but i know now that it’s basically Amazons own unique identification system. Anyways, in this case the ASIN number is B0007E2P16. Alright, i started out by googeling the number and found at least some confirmation. Besides the links to Amazon itself there was actually some hits on other sites like Pinterest and another book site called Thriftbooks. OK, so far so good. And the next step in the Sherlock Holmes kind of thing was the check the ASIN number on Amazon US which turned up the listings i’ve seen many times before but with a totally different pricing of course. And if things were not complicated and confusing enough i also found this listing for the same book on Amazon US, same edition it seems but with a totally different ASIN number B000EG6VF8, google that number and you get no hits. And a search for it on Amazon UK turns up no hits either… And finally we have this listing at Amazon UK, wrong publisher but correct image and once again a new ASIN number: B0028FWN1O. Google that number and you get a few hits but nothing to really work with and of course, that number gives no results on Amazon US… And it wasn’t until after all this that i actually took the time to read the Wikipedia article on ASIN only to find out that they used to be unique worldwide but are now most likely to only be unique within a certain marketplace, which basically means different numbers in different countries. How wonderful! Maybe i’m missing something or just not getting it but this is all still very annoying and confusing to me. I’m thinking about getting one of the cheap ones just for the hell of it and see what gets shoved into my mailbox in a few weeks… But of course, as usual only one of the sellers offered shipping outside the UK. I think i’m waiting for feedback from about 4-5 sellers on this book now so we’ll see if lightning will strike again, i have my doubts though. So… to sum it all up i’m pretty mad about the Madhouse and back to being annoyed and frustrated with Amazon. I have a crazy “dream” of finding an up until now unknown Warhol cover. I realize it’s highly unlikely but who knows, maybe it’s still possible? Richard Forrest found the Ratfab cover just a few years ago and Frank Edwards keeps finding new covers every other weeks it seems like sometimes. And the “Warhol professor” Mr. Guy Minnebach tipped me off just last week to a new book cover that even he had not seen before. And then there is also the discussion about the ” at least quite recently” discovered covers to both Piano Music of Mendelssohn and Liszt as well as the I Wish You Love by Keely Smith. I’m not totally convinced at either of these but if i had to pick one it would be the Mendelssohn. It seems i’m not alone in my skepticism either, when it first appeared it was selling for +$1000 but has since receded to much healthier prices. Richard has now told me that the Mendelssohn has gotten the WCCC seal of approval so i revoke my previous skepticism. Anyways, in my quest to find something new i do a lot of random image searching. And today i actually saw something that almost made me think i’d found it! As expected though, it turned out that wasn’t the case. 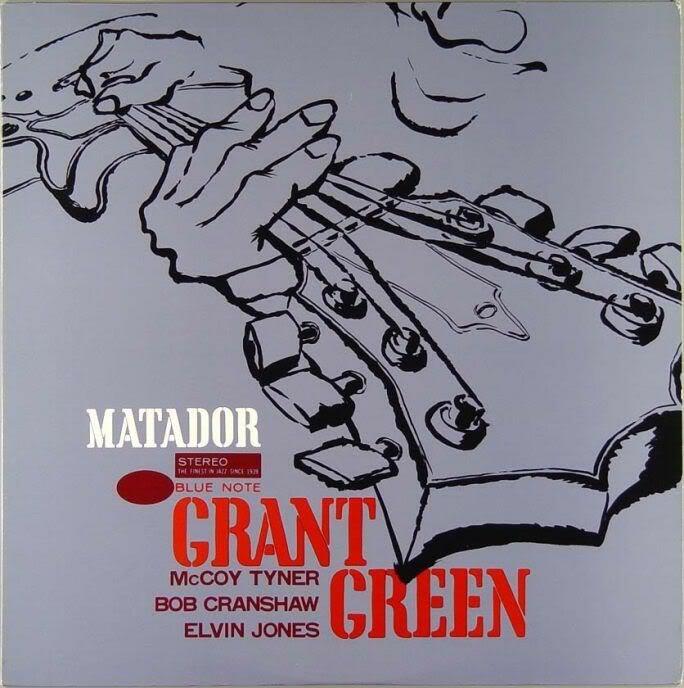 But it seemed the perfect fit at first, jazz music, recorded in the mid 60’s, a drawing with a familiar perspective and even released on the Blue Note label, albeit only in Japan as it seems. For untrained “spot a Warhol design” eyes like mine this actually looked right. But i then looked it up on discogs and there the cover design is credited to some japanese guys – T.Tanaka and T. Fujiyama. Bah! A cool looking cover even though it feels a little rip off’ish of the cover to the self titled Kenny Burrell record. Maybe i shouldn’t complain to much about Amazon, even though confusing and time consuming at times it still enables great and unexpected finds like this. 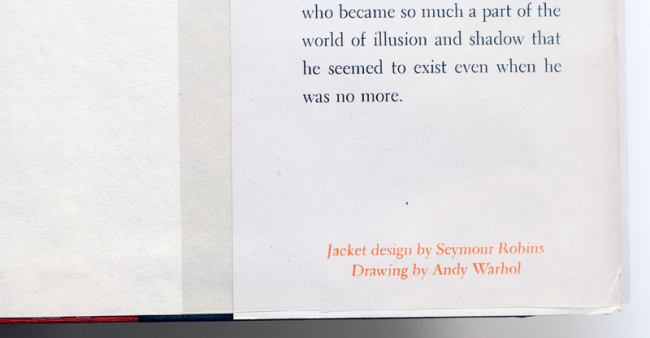 I think the design on this dust jacket is pretty cool so can’t wait to finally get my hands on it and check it out! I’m still not really coming to terms with Amazon, or maybe it’s just that there are quite a few editions of many of these old books that makes it a bit difficult to find your way sometimes. For example, there is about 35 copies available of Stendhal’s The Red and the Black on Amazon. 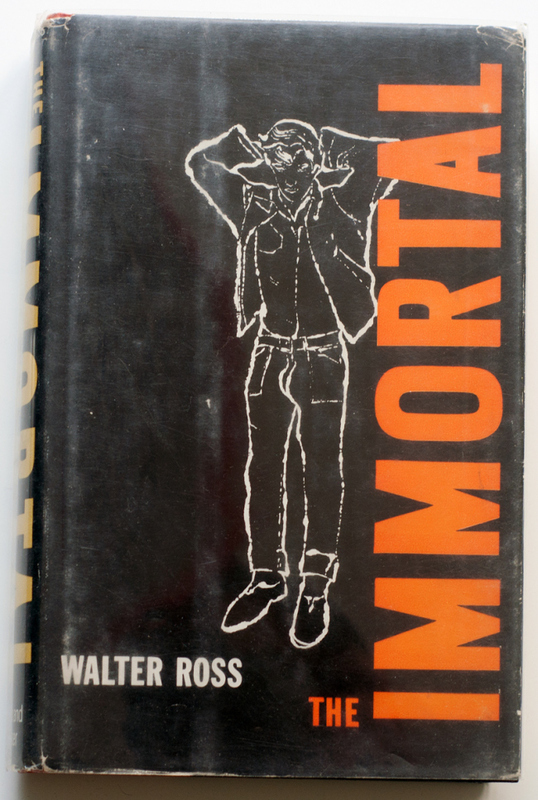 And even though the general product details says the publisher is Doubleday and the cover image is the correct one all of the copies listed are definitely not the ones with the Warhol cover. And then there’s the whole thing with new copies, used copies and collectibles and so on… I still find this somewhat confusing and annoying because it generates a lot of emails back and forth trying to get to see images of the actual book that’s listed. And most of the time all this correspondence is usually in vain since the books are wrongly listed. But it’s not all bad. On the odd occasion you can actually make some really nice finds. And this was one of those times. This was listed for $15 and without any reference to Warhol so naturally i initially thought that it was one of the other editions. But to my surprise it turned out to be the one i was looking for. 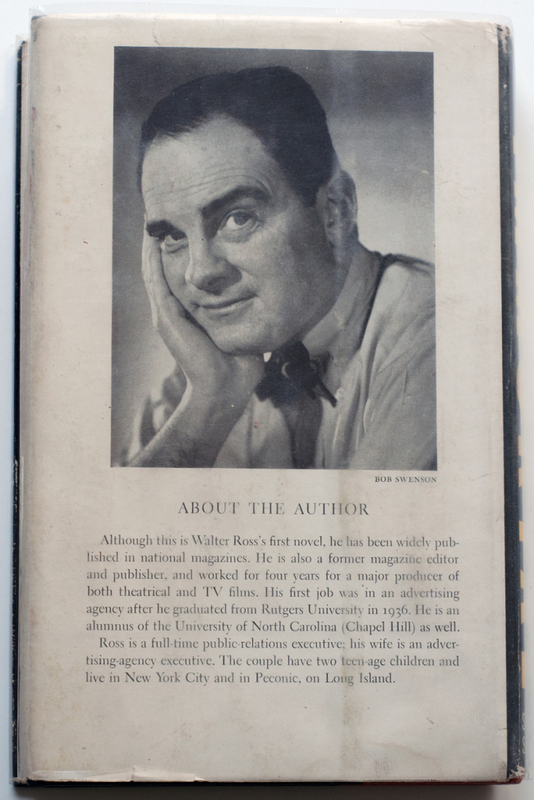 As with many of the other dust jackets i don’t really know how rare this is considered to be. I’ve seen a few here and there on ebay and there has been one on Etsy for quite some time. Regarding the price i’m not sure what’s fair either, there are a few on abebooks listed in the hundreds of dollars and i’ve also seen some on ebay with real high prices that didn’t sell. 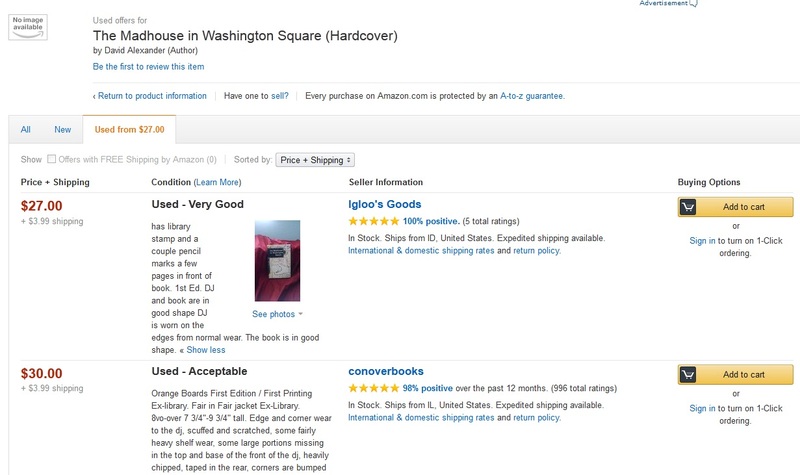 There is also one on Harper’s Books with an asking price of $350. I’m guessing though that this is quite possible to find without going bankrupt and for only $15 i once again think i got one hell of a deal. Apparently there is also a pocket edition published by Corgi Books a few years later in 1960 that has the same Warhol image on the cover but with a different cover design and coloring. This pocket edition i haven’t really looked for since i’ve mainly been focused on hard covers and the only copy of this i’ve ever seen is also on Etsy, and it’s still there now. Another thing with Amazon is that i haven’t figured out is why so many sellers don’t offer international shipping. Some also seem clueless as to why they don’t and many also seem totally uninterested in changing their terms or what you call it through Amazon to make is possible. So, as was the case with Love is a Pie i once again i had to enlist the services of Frank Edwards and ship it via him to me in Sweden. Even with the extra cost for double shipping i’m still more than pleased with what i ended up paying for it. Thanks again for your help, Frank!